I took the stairs with the hope of getting some cues. It’s getting dark outside and dogs are barking in the background. I brushed past some spider webs, broken glasses, and a bevy of creepy crawly critters. Did someone scream? Or is it the howling wind? 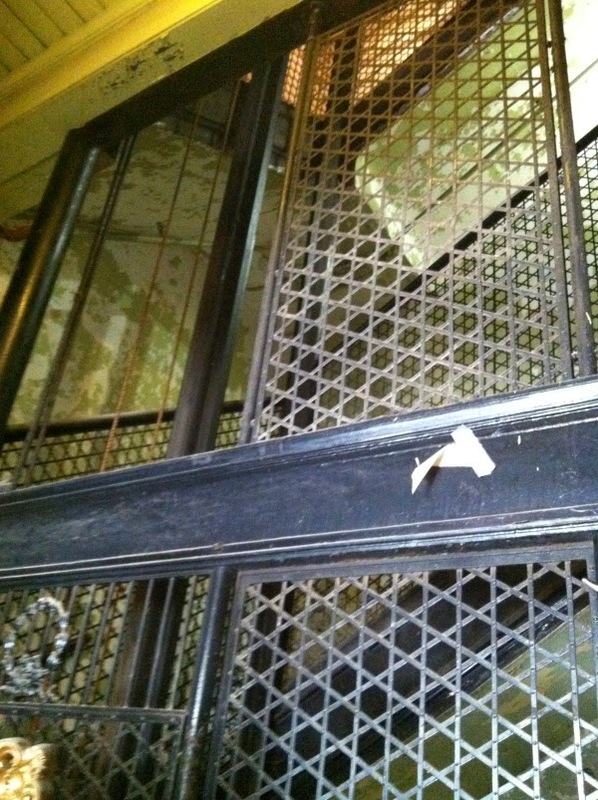 I carefully ascended the creaky steps and bumped into a closed door with broken doorknob. I can feel someone watching me; reluctantly I let go of a breath I didn't know I was holding. I hold the broken door knob, count to six, and turn it around. Nice build of tension until you hit us with a game of Tag. I should'be seen it with the title. I am glad that it GOTCHA. I have not seen the movie "Wolfen", I have to check it out now. I know what you mean, just the thought freaks me out. Hehe, thanks a tonne for appreciating. And you got us as well. Well done! I agree that it would be a scary place to play and possibly dangerous as well. Thanks you so much for your kind words. I appreciate it. That was scary with the cobwebs and broken glass. Kids would choose a place like that to play. Good thing their parents probably don't know. Well-written. Hide and seek in haunted house is a scary thought that I would never recommend. You're absolutely right there. Ah.. it's a all a game... still scary enough when the setting is right. Oh COOL!!! That reminded me of when I was a kid and would go into places kind of scary, etc. You painted that world SO well here. Wonderful! I did something similar as well. I am glad you could relate to it. I am so glad the story brought back old memories for you. My son is in the peek-a-boo stage now..can't wait to teach him "Olly Olly oxen free"